There is no denying the impact of video games across almost all walks of life. From Pong to the complex games of today, the impact of gaming is enormous. For individuals with ADD and ADHD, we tend to gravitate towards this fantasy world. Almost every household has at least one gaming system in the home. Depending on the age of children (or even the interest level in adults), this has become as common as most appliances. The complexity of some systems even makes it more of an entertainment center. Not only can you play games, but you can do all kinds of things like watch movies or even Skype with friends. This is a multibillion dollar industry that continues to find new and better ways of delivering entertainment. So why do individuals with ADD/ADHD enjoying gaming so much? Why does this seem to be a major distraction for almost all learners (and heck even adults) with ADD/ADHD? The answer can be both simple and complex. The simple answer is that it gives us immediate gratification. We will learn about our fate or control a situation with immediate feedback. Since being impatient often times goes hand-in-hand with having ADD/ADHD, we want to know the results of something instantly. The more complex answer has to do with our desire to live in a more comfortable moment. In or day-to-day lives with ADD/ADHD, things will often slip out of our control. With video games, we control the action. If we become very good, we can often times feel like we’re empowered. It’s our moment to shine. There’s nothing that will get in our way. The issue that presents itself is that to become this good, we often sacrifice the day-to-day things like chores and schoolwork. 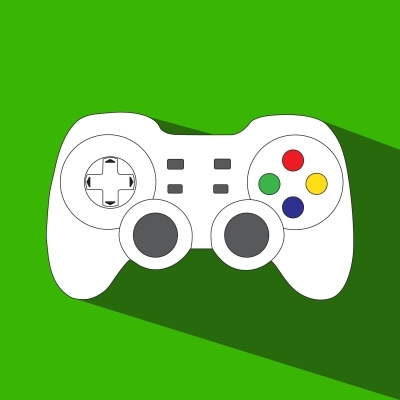 A person with ADD/ADHD can sit around for countless hours perfecting video game skills. The ability to regulate one’s behavior takes a backseat to mastering a game. In moderation, there is nothing wrong with playing video games. In fact, I think it helps with problem solving skills, hand-eye coordination and confidence. However, the regulation issues can also become a huge concern. The best suggesting I can make to help improve self-regulation with video games is set a parameter early and enforce it often. Do not allow gaming unless homework, chores and other responsibilities are completed. Set the parameters early and do not hesitate to change these based on outside performance.